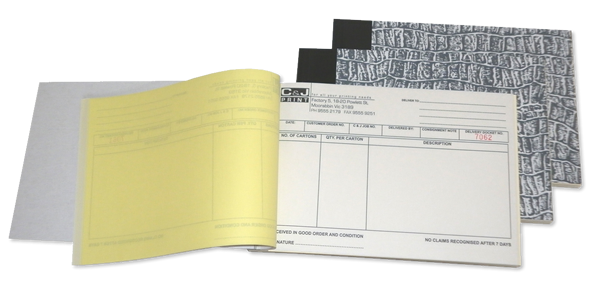 Ideal for business forms, invoices, receipts, and custom forms our NCR forms are printed digitally and come with the option of printing on one or both sides of every sheet. Edge padding and shrink wrap included, we offer 2 part through 3 part forms. Another option is our Sequential Numbering feature, just be sure to include your start number. Whatever your business needs are, we can print custom NCR forms to ensure you present professional forms to your clients. Contact us for a custom printing.